After a controversial price-cut last year, the 3DS has been experiencing some seriously impressive growth. Between November 28th and December 25th, Nintendo's latest handheld sold an impressive 1,492,931 units in Japan, earning it the record for highest recorded monthly console sales. The figure was determined by Tokyo-based Enterbrain, which has been tracking hardware sales since 1997. The 3DS has held strong at the top of Enderbrain's reports for the past seven months (boosting significantly since it's massive early-life price-chop), but it wasn't until the month leading into Christmas that sales rose high enough to earn top-honors. Sony's PlayStation Vita took second place during the same time period, moving 402,794 units after it's December 17th release. Though the news may come as a small surprise to some, games generally sell the console, not the other way around. 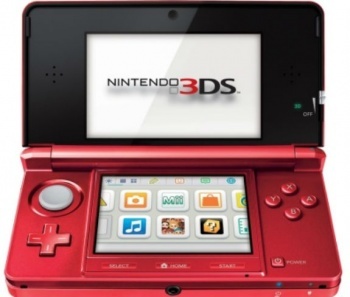 After the release of Mario Kart 7 and Super Mario 3D Land, 3DS sales have been more than healthy. Perhaps it's finally time to call Nintendo's "experiment" (the price-cut, the addition of the second thumbstick, etc.) a success.